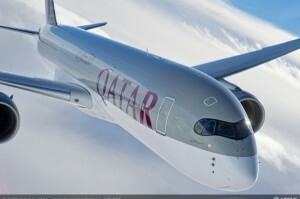 Airbus Delivers World’s First A350 XWB To Qatar Airways… Makes Aviation History! The world’s first A350 XWB was delivered today to Qatar Airways, seven years after initially being ordered at the Paris Air Show. The widebody airliner is set to redefine the way people fly thanks to more space, light-weight materials, innovative aerodynamics, and brand new aircraft systems.